Over 100 vehicles, spanning the decades and representing the field of conflict from around the world, are expected for our annual Military Vehicles Day. 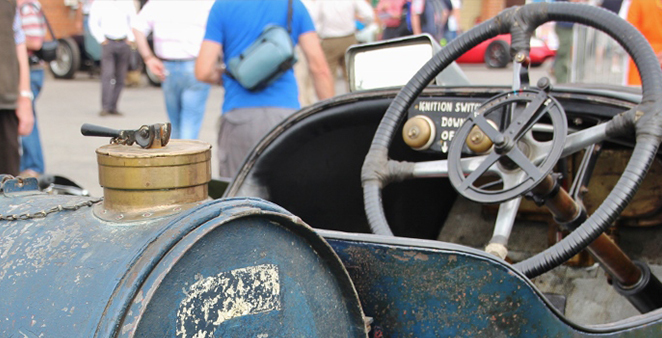 The historic site will be transformed as everything from armoured staff cars to troop carriers and motorcycles are parked up in the Paddock and around the Motoring Village. The event will be brought to life by the many war-time re-enactment groups that will be stationed alongside the vehicles. Visitors will also be able to see the many of the light weight vehicles put through their paces, as they tackle the punishing 4x4 course at Mercedes-Benz World. Back over at the Museum site, the summit of Test Hill beckons anyone brave enough to attempt the steep climb. Military vehicles should enter the Museum site via the Campbell Gate off Brooklands Road by JTI. Visitor parking is in The Heights off Wellington Way - please follow event signage. *Includes a voluntary donation, prices without a donation are shown in brackets. At all events where we are running Test Hill or Cavalcades at Mercedes Benz World, anyone who wishes to take part will need to produce a valid driving licence as part of the signing-on process. The licence must be for the type of vehicle you are looking to drive or ride.